The HPE OfficeConnect 1920S Switch Series consists of advanced smart-managed fixed-configuration Gigabit switches designed for small businesses in an easy-to-administer solution. The series consists of seven switches including 8- 24- and 48-port Gigabit Ethernet switches and 8-, 24- and 48-port PoE+ models of which half the ports are POE+ capable. An additional 24-port PoE+ model is available that provides PoE+ on all 24- ports. All ports provide non-blocking Gigabit per performance. Some models include SFP ports for fiber connectivity and the 8-, 24- and 48-port non PoE+ models are fanless, making them ideal for office deployments. All HPE OfficeConnect 1920S Switches support flexible installation options, including mounting on wall, under table, or on desktop. The 8-port Gigabit Ethernet model can be powered by an upstream Power over Ethernet switch for environments where no lline power is available. The series is part of the OfficeConnect portfolio of Hewlett Packard Enterprise small business networking products. 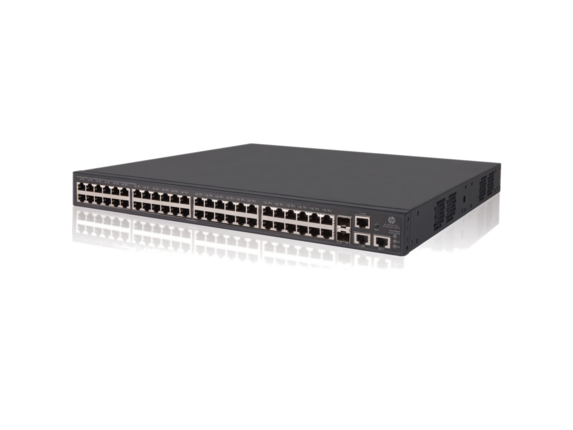 These switches provide a great value, and includes features to satisfy even the most advanced small business networks. Customizable features include basic Layer 2 features like VLANs and link aggregation, as well as advanced features such as Layer 3 static routing, IPv4 and IPv6 Host mode, ACLs, and Spanning Tree Protocols. 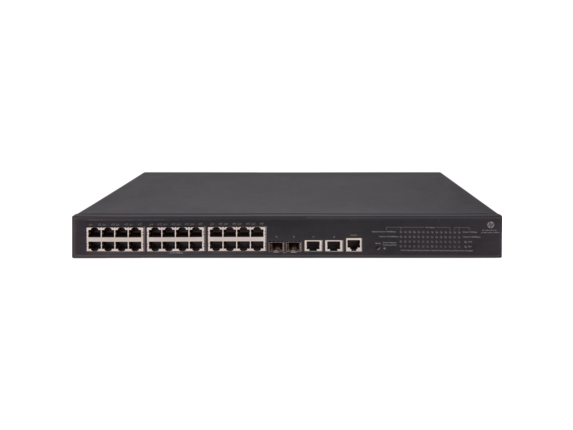 HPE OfficeConnect 1920S Switch Series includes a Limited Lifetime Warranty. This warranty provides advance hardware replacement with next business day shipment in most countries, limited 24x7 telephone support available from HPE for the first 90 days, and limited electronic and business hours telephone support is available from HPE for the entire warranty period. Standards-based switches range from plug-and-play simplicity to fully-managed with the performance needed to support bandwidth-intensive applications such as video. They are energy-efficient and many are backed by comprehensive lifetime warranties. 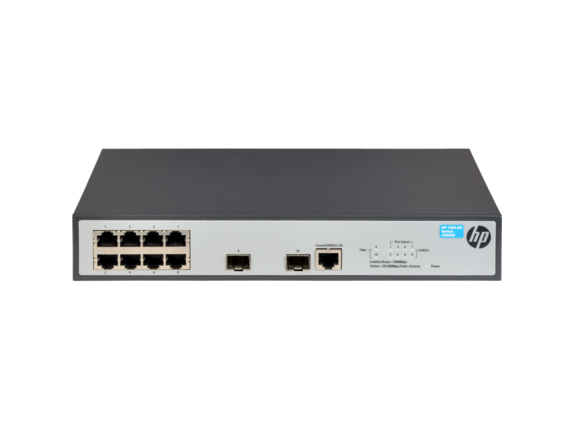 The HP 1920 Switch Series, part of the HP OfficeConnect portfolio, is designed for smaller organizations dealing with bandwidth-demanding applications. The switches are ideal for environments that require advanced features for granular control and where smart-managed flexibility is a must for easy network configuration and management. The series consists of seven switches including 8- 24- and 48-port Gigabit Ethernet switches and 8-, 24- and 48-port PoE+ models of which half the ports are POE+ capable. An additional 24-port PoE+ model is available that provides PoE+ on all 24-ports. All ports provide non-blocking Gigabit per performance. Some models include SFP ports for fiber connectivity and the 8-, 24- and 48-port non PoE+ models are fanless, making them ideal for office deployments. All HPE OfficeConnect 1920S Switches support flexible installation options, including mounting on wall, under table, or on desktop. The 8-port Gigabit Ethernet model can be powered by an upstream Power over Ethernet switch for environments where no lline power is available. 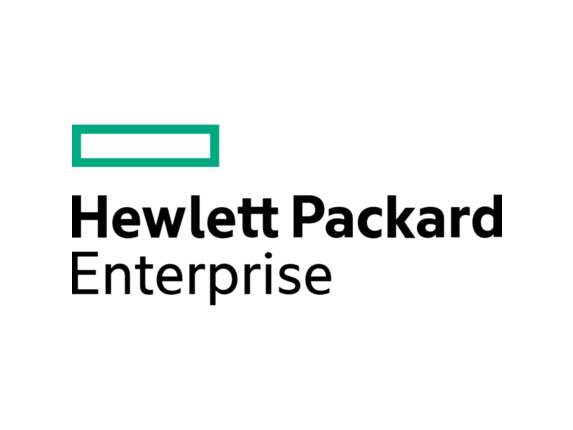 The series is part of the OfficeConnect portfolio of Hewlett Packard Enterprise small business networking products. These witches provide a great value, and includes features to satisfy even the most advanced small business networks. Customizable features include basic Layer 2 features like VLANs and link aggregation, as well as advanced features such as Layer 3 static routing, IPv4 and IPv6 Host mode, ACLs, and Spanning Tree Protocols. 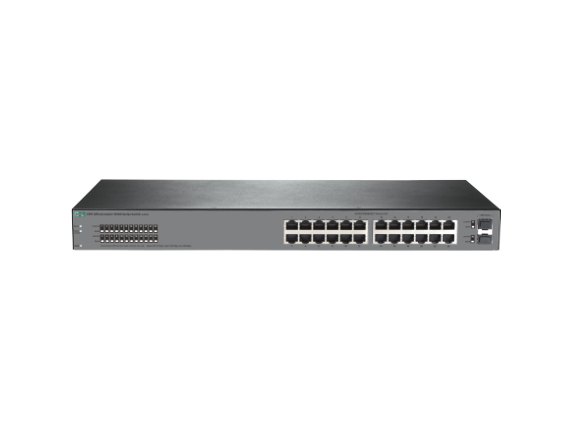 HPE OfficeConnect 1920S Switch Series includes a Limited Lifetime Warranty. This warranty provides advance hardware replacement with next business day shipment in most countries, limited 24x7 telephone support available from HPE for the first 90 days, and limited electronic and business hours telephone support is available from HPE for the entire warranty period. Six new advanced smart managed fixed-configuration lite Layer 3 Gigabit switches for affordable high-performance connectivity. Non-PoE and PoE+ 8-, 24- and 48-port models for deployment flexibility. Simple and consistent Web interface for easy switch configuration. The HPE OfficeConnect 1920S Switch Series features easy-to-use, out of the box, plug-and-play deployment. The series offers a complete portfolio of choices for increased small business flexibility. It consists of six rack-mountable models including 8G-, 24G- and 48G-port with and without PoE+. The 24G- and 48G-port PoE+ models offer SPF fiber connectivity. 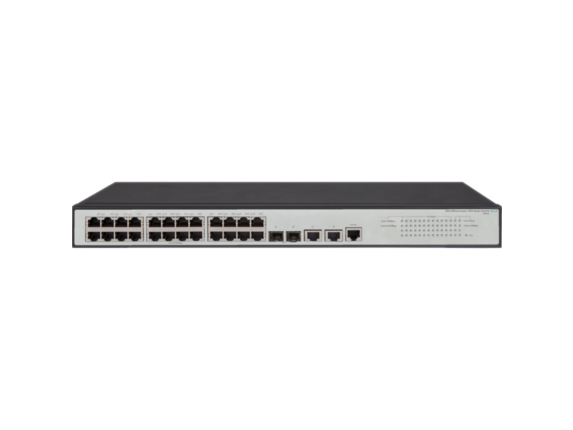 These smart-managed switches use an intuitive Web management interface, to simplify deployment and management while offering granular control of key features. The HPE OfficeConnect 1920S Switch Series supports Energy Efficient Ethernet for lower power consumption and an enhanced feature set for more robust operation. Enhanced security features such as Access Control List, IEEE 802.1x and VLANs guard your network from unwanted or unauthorized access. 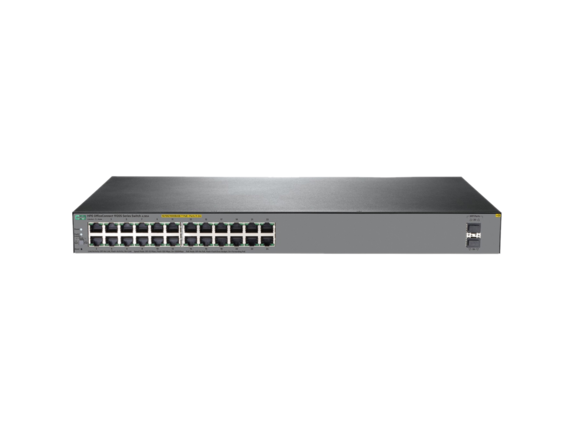 The HP 1950 Switch Series consists of smart web-managed Gigabit Ethernet switches with 10-Gigabit uplinks, for advanced small business customers needing high-performance connections to servers and network storage. The 1950 Switch Series includes four switches: two standard models and two PoE+ models in 24- and 48-port configurations. 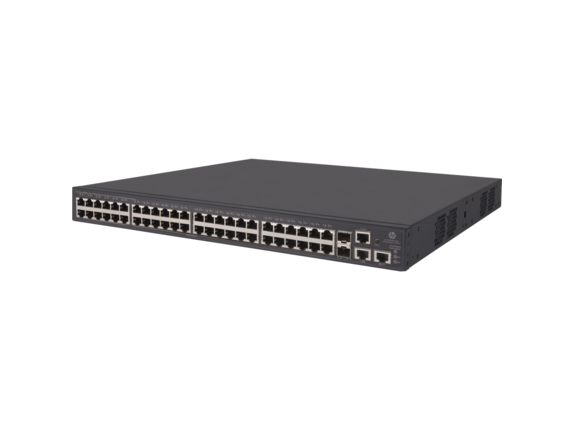 The switches each have two 10GBASE-T ports supporting copper-based Category 5e-based cabling, and two 10G SFP+ ports for fiber connectivity. The PoE+ models both have a PoE power budget of 370 W to power up PoE/PoE+ compliant client devices. The 1950 Switch Series has an intuitive Web-based interface for simple customization of network operation. It supports true-stacking, allowing up to four devices to be logically administered as a single entity, simplifying administration while supporting greater network redundancy. Models support both rack mounting and desktop operation. They have IPv4 and IPv6 operation, with Layer 2 switching as well as Layer 3 static routing. Other features include: link aggregation to boost link performance; VLANs, Access Control Lists, and 802.1X network login for enhanced security; and three versions of Spanning Tree Protocol (STP) for added network resiliency. The switches come with a limited lifetime warranty covering the unit, fans, and power supplies, as well as 24X7 phone support for the first three years of ownership. 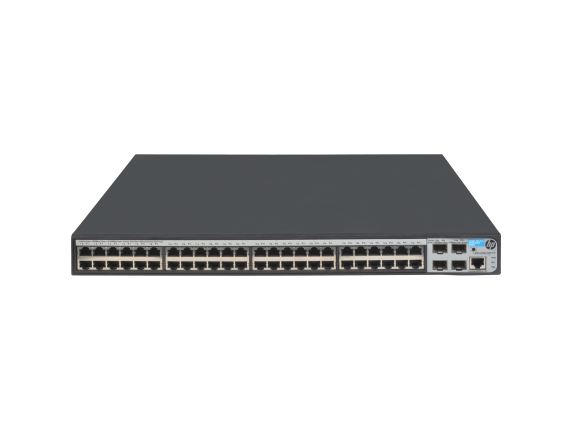 The switches deliver advanced smart-managed fixed configuration Gigabit switches that build on the marketing-leading price/performance of the HP 1910 Switch Series. They feature a new 48-port PoE+ model, IPv6 support and advanced silicon technology. 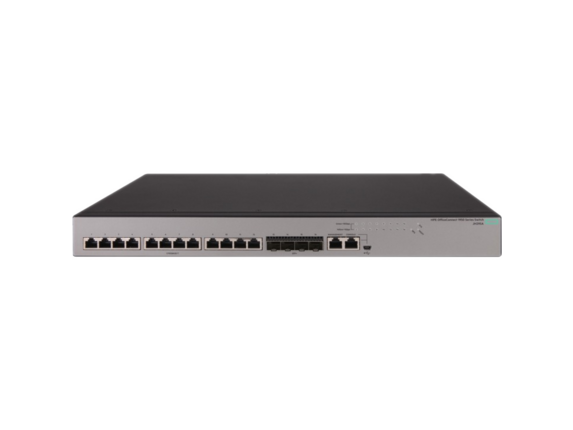 The HPE OfficeConnect 1950 Switch Series consists of five smart web-managed Gigabit and 10-Gigabit switches for small businesses needing advanced high-performance connections. One 16-port 10-Gigabit aggregation switch with 12 10GBASE-T and 4 SFP+ ports and four Gigabit switch models, each with 2 10GBASE-T and 2 10G SFP+ ports, in 24- and 48- port configurations including standard and PoE+ models. High-level Gigabit and 10GbE Networking for Advanced Small Businesses. The HPE OfficeConnect 1950 Switch Series now provides a complete 10GbE solution for advanced small business networks who are looking for a high performance and cost effective networking solution today or in the future. 10GBASE-T deliver 10GbE over copper Category 6a cabling for simple, affordable, high-bandwidth connections to a maximum distance of 100 meters. SFP+ ports allow for fiber connectivity at various distances, at 1/10GbE speeds, using optional SFP+ 10GbE or SFP Gigabit transceivers. Aggregate 10GbE connections for even higher bandwidth using Link Aggregation Control Protocol. Use the intuitive web-browser based interface to configure and administer these smart-managed devices. These devices support SNMP versions 1, 2c and 3, allowing administration of these devices from a remote SNMP-based management platform.